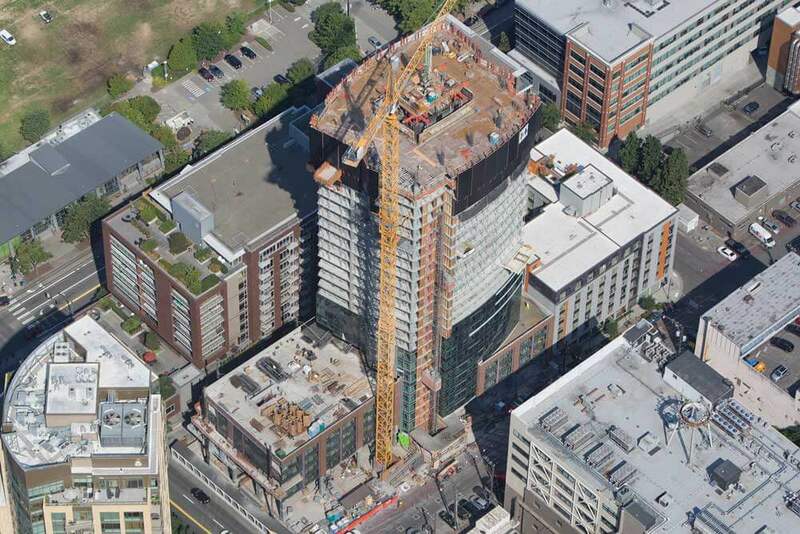 970 Denny is a 440-foot tall multi-family high-rise on the southern edge of Seattle’s Lake Union. It boasts a modern, sculpted and sleek design while also blending in with the historical buildings nearby. This 40-story building offers 461 units with high-end finishes and over 15,000 sq. ft. of retail. 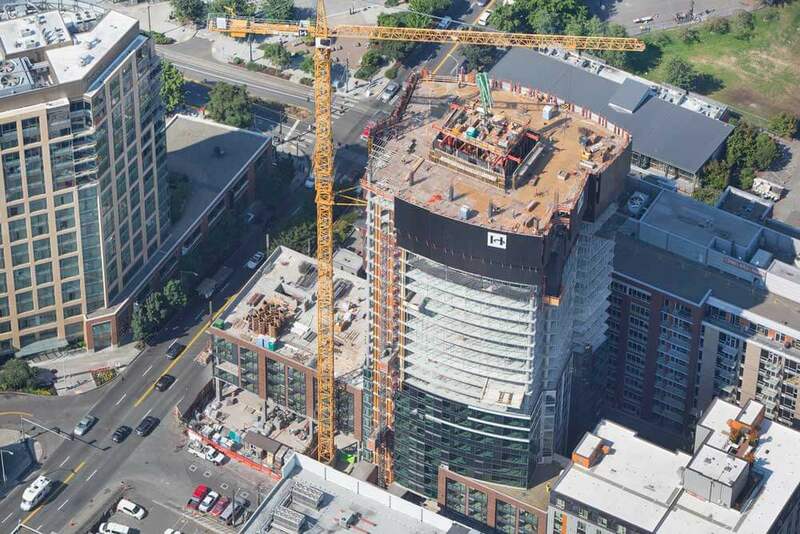 The amenities are located on three levels and include a fully outfitted fitness room; community room with chef’s kitchen; and two spectacular roof top terraces with views of Lake Union, the Space Needle and Elliot Bay.